One of the feel good stories of the 2012 MLB season seems to be coming to an end with the news that the Colorado Rockies were designating 49-year-old Jamie Moyer for assignment. Moyer, who the Rockies signed before the season after the ageless lefty with the hot wife missed all of last season while recovering from Tommy John surgery, became the oldest pitcher to win an MLB game when he led the Rockies to a 5-3 victory over San Diego last month. So now is the seemingly never ending career of this pitcher about to end? While Moyer did not get off to a terrible start, as some thought he would since his lack of velocity would not mesh well with the high altitude of Coors Field, he has not been good either. He sits at 2-5 with an ugly 5.70 ERA, with an even uglier 8.64 ERA this month, and he leads the Senior Circuit in hits allowed. Manager Jim Tracy felt that sending Moyer out on the hill was "compromising (Moyer) and the team," adding that the team "felt like this is something we had to do." "It's a tough pill to swallow, but it's part of the business. It's all about putting up results." 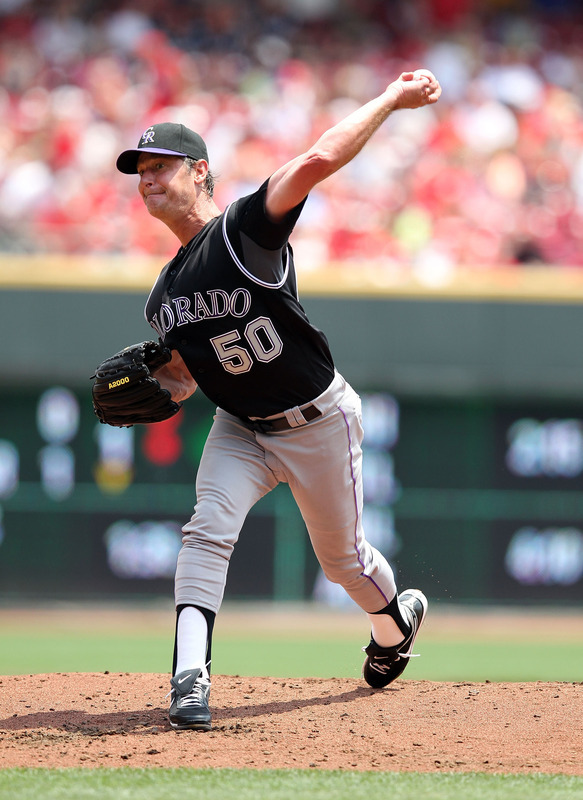 Moyer has said that he is open to continue his MLB career, after all who wouldn't like to still be in the majors when he turns 50 (he turns 50 in November) but it's clear that he does not have it anymore. He has gotten hit hard, his 80 mile-an-hour fastball isn't getting by anybody, and the readers of SportsGrid know this (here and here). I can't see another major league club bringing him in, but hey if he wants to continue doing what he loves in the minors god bless him but would he really want to do that? All in all, this reminds me of the end of the career of Julio Franco, the ageless first baseman who was still in the majors at age 49 who indicated that he wanted to play until he was 50 but nobody was willing to give him a chance. For Moyer, it's been an unusual career in that he has continued to pitch while defying the odds and who knows if we will still see somebody pitching at the age of 49 again.